The FireStik SS194A Stainless Steel Stake Hole Mount is a great way to take advantage your full size pick-up bed rail holes when mounting a CB antenna. The stake holes in the corner of pick-up beds offer an excellent location to mount a two-way radio antenna that does not require drilling holes into the truck body. The top bracket of the FireStik SS194 antenna mount is full 6" (152mm) long. The FireStik stake hole mount preserves the ability to install a camper shell on your pick-up bed by positioning the antenna outside of the truck bed. The SS194/SS194A comes complete with stainless steel brackets, hardware, and vehicle protective gasket that will preserve the finish of your pick-up bed rail. 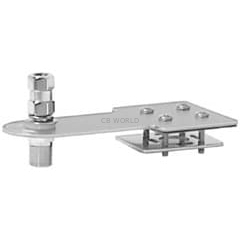 The SS194A offers is easy to install and provides a sturdy method to mount CB and Ham antennas that have 3/8x24 threaded ferrule. 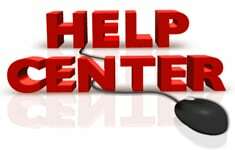 The FireStik Antenna Company strongly recommends using antenna with a four or taller mast for best performance and antenna tuning. The FireStik SS194A is compatible with all CB and two-way radio antennas and accessories with 3/8x24 threads. 18' High quality coax is recommended for best antenna performance.